Discussion in 'APEX Race Parts' started by APEXRaceParts, Sep 18, 2018. 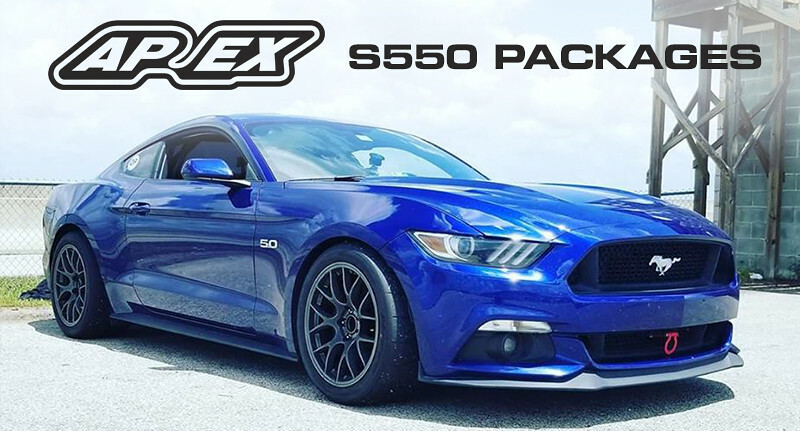 APEX is excited to offer package deals this fall for Mustang S197, S550 & GT350's with big savings. 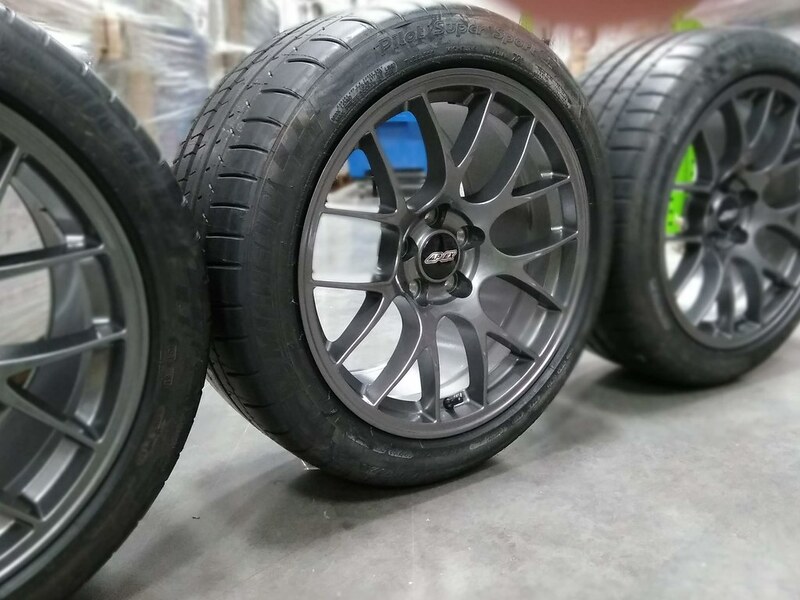 Choose from a variety of popular street and track packages featuring our APEX wheels, TPMS with upgraded color matched valve stems, and Michelin tires. All wheels and tires are in stock at APEX, and packages include free mounting and balancing. 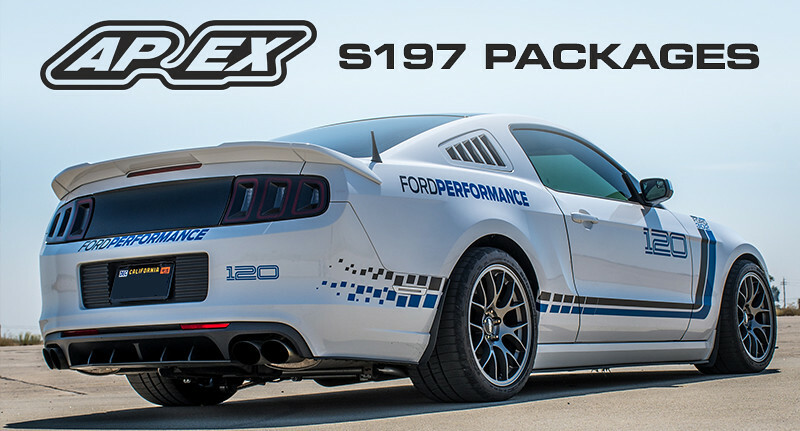 Contact our Mustang product experts today by PM, email or by phone to configure a package. These package deals are available until supplies last. Call, PM or E-mail Us to place your package deal order! Don't forget to ask about spacers and camber plate options from Ground Control as well! Those are some nice discounts. As a side note for anyone initially questioning the 265/40-18 Federal tires on a 18x10" wheel...Federal Tires run very wide compared to most other manufacturers, they tend to be at least 10mm larger in section width than what it is labeled at. Once mounted on a 10" wide wheel, this 265 is larger than many 275s and even some 285 width tires from other brands. ...any 18x11s shod with 315 Hoosiers in a packaged deal, ha?! Well one can always ask and getting a second set of Apex rims is in the cards .....just can't play the hand till this Winter. More wheel and tire packages heading out the door today! Contact us today to place your order while supplies last. 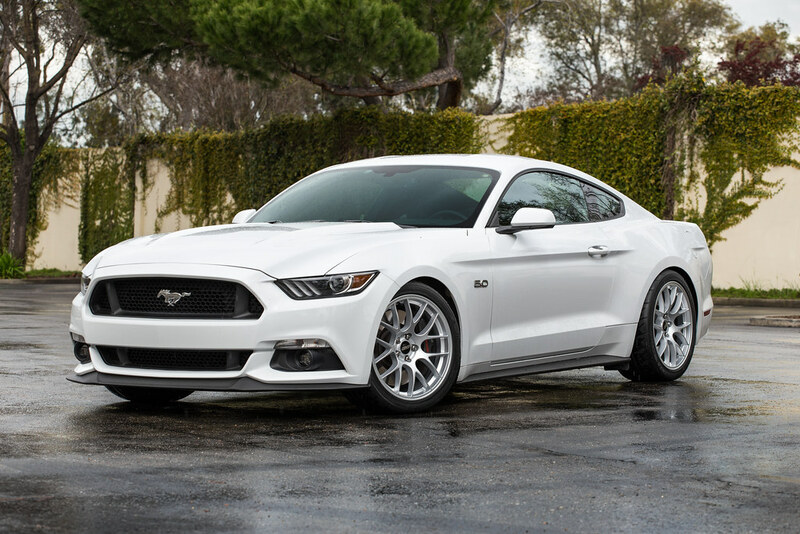 Do you offer 18" wheels with the exact offsets as the Mustang GT4 specs? 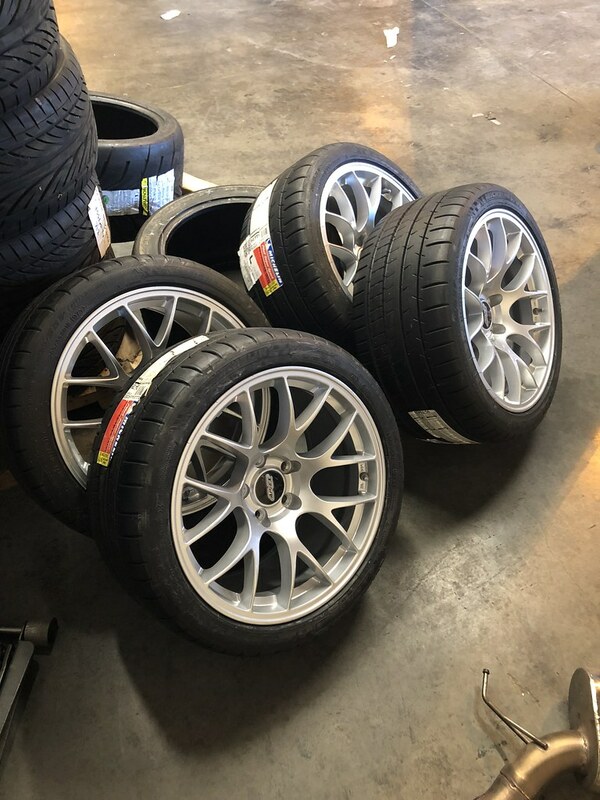 Looking for a second set and willing to try non Forgelines this time. 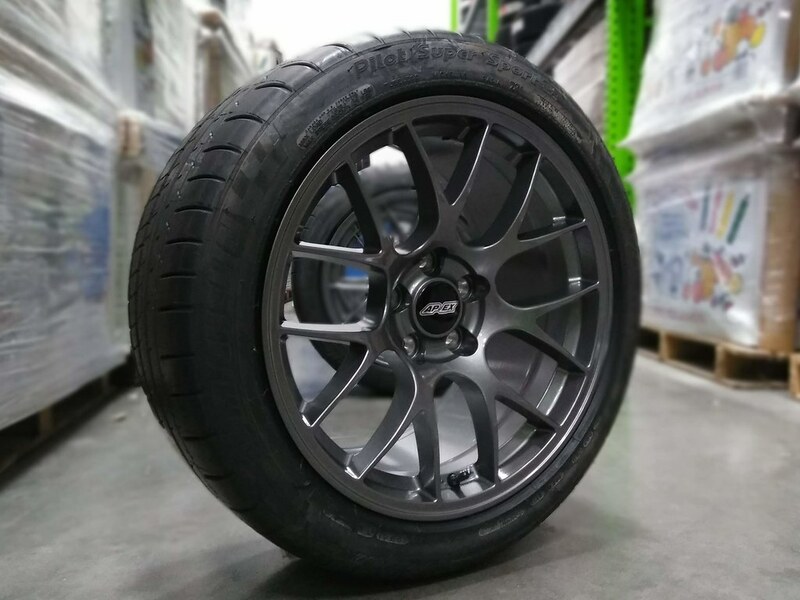 We offer 18x11" ET52, which gets combined with spacers up front so you can rotate the wheels around. I would anticipate you needing 25mm spacers with the DSSV dampers. With just a week remaining, we're running low on a few tire options so now is the time to contact us to place your order. All packages have at least one full set remaining! I am actually a big fan of having a setup that can be rotated to all 4 positions using high-quality studs and spacers. This really helps to get the most mileage out of expensive race tires. I am typically rotating my tires every two runs during the weekend and flipping tires on the wheel after every event. APEXRaceParts, TymeSlayer and Bill Pemberton like this. Couldn't agree more. There's a big fear of spacers for some reason and I can't figure out why. Thanks to you guys I have overcome my fear and have 25mm spacers with my Apex rims with no issues!! TymeSlayer, VoodooBoss and HR692 like this. No fear of spacers but in Pennsylvania, anything bigger than a small spacer (I think 1/8") won't pass state inspection. Of course, this depends if the mechanic remembers this or looks the other way. Hopefully ,you have another set, when it comes time for inspection? Coz, assuming your beast is running on stock rims now ? No. I have staggered 18x9 & 18x10 now. Will most likely go to a square 18x10. 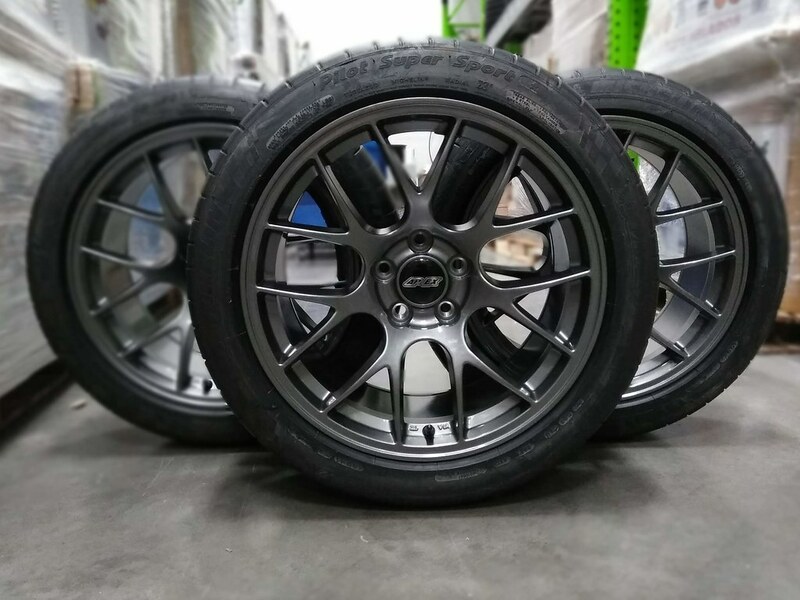 I would consider the 18x11s personally--- so many new choices of wide sticky rubber , even with 200 Treadwear rated street tires!! You need 305s at a minimum , imho. We have decided to extend the sale on a couple packages until they are out of stock, so act now before they're gone for good!